Police are dillydallying to arrest a Kenyan crook who crashed the payment system at the ministry of Finance earlier this week. On Tuesday this week, the payment system at the Finance ministry was deliberately sabotaged to pave way for a single sourced contract to create another payment system. 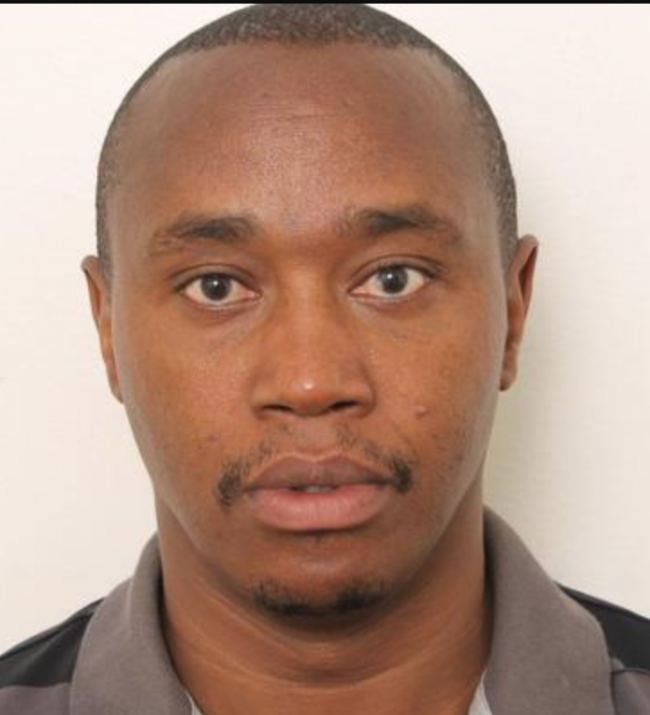 Watchdog investigation show that the sabotage was done by a Kenyan crook called Raphael Njui Njoroge (in photo) in collusion with IT officers at the ministry of Finance. Njoroge is based in Zamba, runs a company called Smartnet and is a close friend of former Finance mnister Felix Mutati. The scheme was simple: crush the existing payroll system, then get the tender to create another one but be richer from Zambian taxer payers’ money. The police and other security officers visited the ministry of Finance today to probe the crash but it seems someone is blocking the police from doing their job. Njoroge has been robbing the Zambian Tresuary since 2010. · This project was awarded to Soluziona S.A. of Spain. · Soluziona was sold and bought out by Indra Sistemas S. A. · This change in ownership was not communicated to the Government, being the other party to the contract at the time of the event. · When Government became aware of this fact, a decision was taken to put the IFMIS project implementation on hold and seek legal opinion on the matter from the Ministry of Justice. · While the matter was being reviewed, Indra Systemas withdrew its staff from the project pending resolution of the matter. · The legal opinion from the Ministry of Justice was that Soluziona S. A. was in breach of the contract and that the Government was at liberty to either terminate the contract if it was not satisfied with the firm’s performance or reactivate the contract if they were happy with the work done so far. · The former Ministry of Finance permanent secretary the late Dr. Lewanika appointed new managers to implement the Integrated Financial Management Information System (IFMIS) contrary to the memorandum of understanding (MoU) signed between the government of Zambia and cooperating partners. · The civil servants appointed to replace the staff that was employed through the World Bank were Mr. Joel Ukwimi, Mr. Innocent Mututa and Mr. Francis Mwale, as IFMIS managers. · Guidelines and proper approach such as advertising for the vacancies, and informing the cooperating partners for their consent on approach and selected candidates were not adhered to. The initial budget for the entire project was $24 million. According to some parliamentary debate, the Government expected to spend about K192 billion equivalent to US$42.7 million. The source of funding for IFMIS was through pooled funding from various co-operating partners who have been supporting the Public Expenditure Management and Financial Accountability (PEMFA) Programme. The co-operating partners committed 90 per cent equivalent to K172 billion of the total IFMIS budget while the Government committed 10 per cent equivalent to K20 billion. But the question is who, who is running this IFMIS and why? We have discovered the following facts: Indra Project is the contractor after taking over from Soluziona. The project manager is Raphael Njoroge a Kenya national and a very corrupt fellow. This Kenyan crook works with other people in government from the Ministry of Finance to the Head of Information Technology (IT) in the Red Brick (OP) – Francis Mwale. Their collaborator from the private sector is the infamous and once upon a time spokesperson for Maureen Mwanawasa’s Community Initiative NGO, Francis Mwanamuke the group CEO of TechNet Group. He is the same gentleman that Dora Siliya named as the local businessman introduced R.P. Capital of Cayman Islands to the MMD government. International lawyer Robert Amsterdam has continued to question Michael Sata and Wynter Kabimba why Zambia is pursuing Henry Banda when the entire deal for ZAMTEL was started by someone else. Raphael Njoroke, the Kenyan is a teacher by profession. He went to some Kenyan University. He has no formal IT training and that partly explains why he has messed a good project – for personal gain. He managed to get rid of highly qualified locals and foreign experts through the golden hand of Francis Mwanamuke when the Late President Levy Mwanawasa was in office under the influence of Maureen Mwanawasa. During the Mwanawasa regime, he was untouchable as any wrong committed by him and reported would just die a natural death. The situation is the same to date. Mwanamuke even brags that the law can’t visit him because whatever report goes to intelligence still lands on his desk – compliments of Francis Mwale at OP. Many people have tried to report the rot on IFMIS but one risks being eliminated, we are told by sources within the Ministry of Finance. Former Disc Jockey at Radio Christian Voice, former spokesperson for MCCI, Mr. Francis Mwanamuke CEO of TechNet Limited brought misery to the IFMIS project with the help of his colleague at IFMIS working for Soluzonia then Indra. The same gentleman is the one that also got ZAMTEL into various problems including him having brought RP Capital to Dora Siliya an issue that Robert Armsterdam keeps referring to as to why Henry is being pursued and the gentleman who brought the idea is still free. Sources say that when Late President Mwanawasa died. Mwanamuke quickly handed over the ZAMTEL deal to Henry when his father took up as Acting President. Mwanmuke continued to work in ZAMTEL during Hans Paulsen and he was at the time stationed in Uganda. He knows how to play politics and dangling the carrot to the politicians who are not there to serve their people but amass as much wealth as they can. Records at one parastatal financial institution also shows that Francis Mwanamuke is involved in Kifco the company that got David Matongo fired when he refused to award grain bags for FRA. The company has a failing debt with DBZ, and the debt is not being pursued by DBZ. It is believed by sources in the Ministry of Finance that Francis RPC Data Zambia and a PS at the Ministry as shareholders with RPC Data of Botswana as the other partner and were awarded a contract by Soluziona as a sub contractor for local services and equipment. This was the beginning of Raphael, Francis and Francis (OP). They have controlled and awarded themselves contracts worth millions of dollars and no one to date can dislodge this married. After the demise of the PS, RPC Data Zambia went into liquidation and was dis-registered. This is the style that he operates on, just like the Techmines which exisited during Mwanawasa was de-registered and its website quickly cleaned out. Techmines was registered in Zambia and Italy and was selling high grade copper. The news reaching us that Sata is now pursuing and dismantling the IFMIS corrupt project is the greatest but must be warned that it’s deeper that what meets the eye. The dismantling must therefore be extended to all companies and individuals that have caused the project to fail and result in Zambia spending millions of foreign exchange that was meant for development. The IFMIS Project has become a vehicle of siphoning money out of government by individuals in government, Indra project manager and some unscrupulous private sector companies. It is said Corruption distorts markets, damages economies and creates unfair competition. Companies often pay bribes or rig bids to win public procurement contracts. Many companies hide corrupt acts behind secret subsidiaries and partnerships. Or they seek to influence political decision-making illicitly. Others exploit tax laws, construct cartels or abuse legal loopholes. Private companies have huge influence in many public spheres. So it’s easy to see how corruption in business harms taxpayers’ interests.